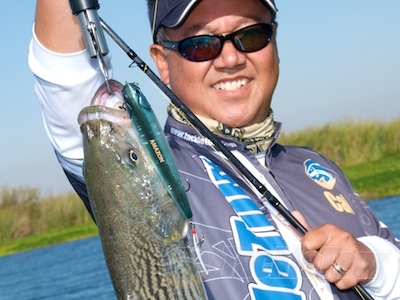 Introduction: For years, the staple super line of choice on most every bass angler's flipping reel has been PowerPro. For most, this line has proven time and time again to be the most cost effective and reliable braided line product on the market. Just a few short years ago, however, new, premium braided lines have been showing up on store shelves touting more carriers (actual individual strands), smoother performance, and better color adhesion. How do these lines actually perform? Let's take a look right now. 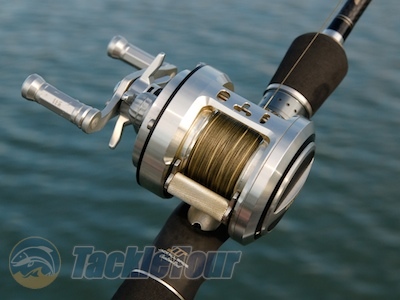 Here at TackleTour, we've grown increasingly fond of the new generation superlines. Impressions: Our fluorocarbon tests from three years ago have sent a ripple through the industry followed quickly by a reformulation of product by several manufacturers and new offerings by others. Coincidence? Hard to say, but regardless the actual cause and effect of this occurrence, there are more quality fluorocarbon lines in the market today than ever before. Toray's Super Finesse BAWO Braid in 30lb Test spooled on a Conquest 51 and mounted on Jackall's HC-68MRG VCM-CAST 68 cranking stick. Super lines are quite different. Where the primary question with Fluorocarbon lines is their knot strength, amount of stretch, and abrasion resistance, the primary question with braided line is impact strength. Try as we might, we do not yet possess the proper tensile testing machines to evaluate these lines at the values in which we use them. In other words, none of us are brave enough to stand alongside our current equipment when testing the breaking strength of a line rated at fifty pounds or more nor are we brave enough to devise a testing method to evaluate the impact strength of such a line. So instead we’ve chosen the old school tactic of fishing these lines in varying applications to see just how they well they behave – or not. 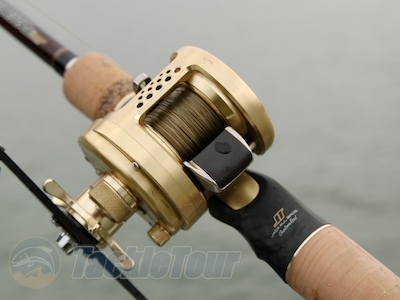 Versatility is the key and superlines make a great choice for topwater baits. The Players: There are countless manufacturers out there offering their take on super lines. For the purposes of this roundup, we've narrowed it down to three with the primary distinction being actual braided lines (as opposed to fused) that offer more than four individual strands (or carriers) of spectra material in their product. There really are only a few that offer this feature with the advantage being the more carriers in the line, the softer and more supple the end product is and the quieter and less abrasive it can be through your guides. Toray's Super Finesse BAWO Braid in 55lb Test spooled on an Ito Monoblock. Toray Super Braid: Toray’s Super Braid is an eight carrier line which equates to a softer, smoother product versus the afore mentioned Power Pro (a four carrier line). 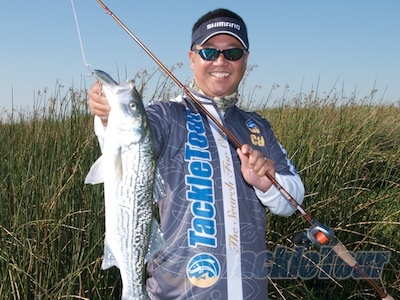 The spectra fibers of Toray’s superline are colored a dark, mossy green but feature a white stripe every meter to aid with visibility while fishing. The line is available in strengths ranging from ten to sixty six pounds and only in filler spools of seventy five meters. 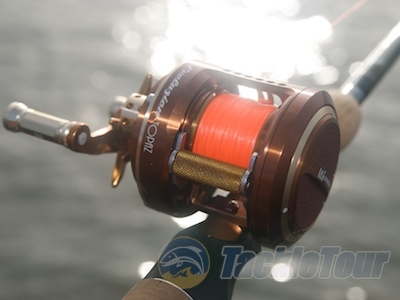 Prices for these spools range from twenty eight dollars for the sixty six pound test braid (66lb @ $28) to forty three dollars for the ten pound test braid (10lb @ $43). That’s right, the lighter you go in rated strength for this line, the more expensive it gets due to increased manufacturing costs. Daiwa's Samurai braid spooled on an Ito Monoblock Bespoke, Racing Condition. 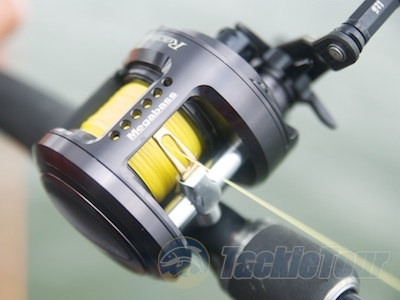 Daiwa Samurai Braid: Daiwa entered the superline market with their Samurai braid several years ago and has since gone through a reformulation of their line to increase tensile strength. Reportedly OEM'd for them by one of the top braided line manufacturers in Japan, Samurai braid is an 8 carrier line that is super smooth, super thin, and moderately priced at twenty five to forty dollars ($25-$40) per one hundred fifty yard (150 yd) spool in fifteen to eighty pound test (15, 18, 20, 30, 40, 55, 70, 80). The great thing about Samurai Braid? It's also available in three hundred and fifteen hundred yard (300 & 1,500 yd) spools! The line is available in two colors, a low visibility green, and a high visibility yellow. Sufix Performance Braid spooled on an Ito Monoblock Bespoke Topaz. Sufix Performance Braid: Sufix's Performance braid, for many, has been the next best choice alongside PowerPro because of availability and pricing. The number of carriers in this line varies depending upon the pound test you are fishing. The twenty pound test line features four carriers while the thirty and forty pound test line features six. All Sufix Performance Braid above fifty pounds features eight carriers. This line is available for seventeen to twenty five dollars ($17-$25) per one hundred fifty yard (150 yd) spool of line in twenty to eighty pound test (20, 30, 40, 50, 65, 80). 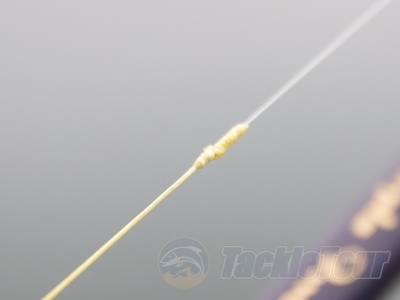 Mitigate against line visibility issues by tying a fluorocarbon leader to the end of your braided line. This is an Alberto knot tied to a 16 lb fluoro leader (Megabass Dragon Call) with the braid tag end tied back upon itself with a uni knot.